While everyone wants to throw their child their dream birthday party, the restrictions venues can put on your dream party can be limiting. Throwing your child party at home can be extremely simple if you have the right theme and steps to follow. 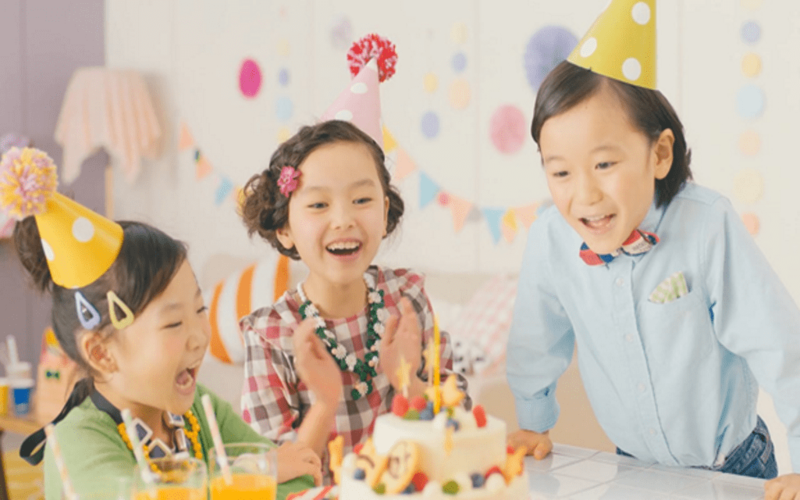 To avoid the cost of renting out a venue and for full creative freedom, we suggest trying your hand at one of these DIY, educational birthday parties, sure to please the kids and your budget. Lately the biggest trend in children’s birthday parties is STEM-themed parties (Science, Technology, Engineering, and Mathematics). 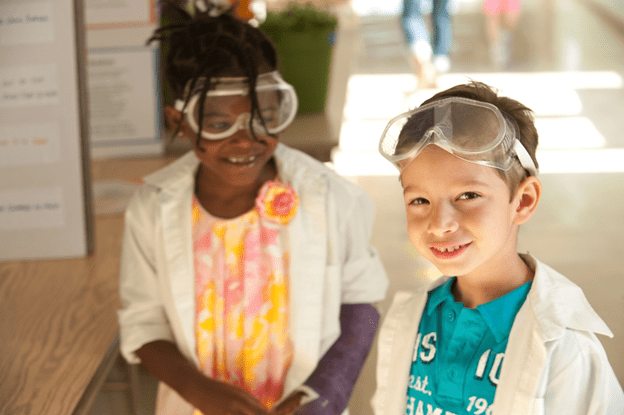 While there are many places that host STEM-themed birthday parties in the US, hosting a STEM-themed fest for your child can be a both fun and unforgettable experience. One of our favorite themed parties to throw due to the possibilities with decorations and cake themes is a geology themed party. Decorations can include center pieces with rocks and geodes from a local craft store or even your own backyard, and making a cake showing different layers of rock can be an opportunity for kids to understand sedimentary layers. Pop rocks and rock candy can also be used as decorations in bowls around the party. For crafts a favorite is crystal growing which can be done easily with borax, pipe cleaners, and some parental supervision. Another activity can be setting up buckets of water and sand and letting kids pan for rocks and gemstones from any local craft store. Kids can then either take these rocks and gems home in a drawstring bag or bead box that they decorate themselves for a souvenir. For a STEM sleepover, nothing beats a DIY planetarium. Decorations can include glow in the dark stars, a moon and star projection light, cut out spaceships, and even stuffed alien friends. Moon cheese and freeze-dried ice cream would work as yummy treats and creating a space mobile out of string and a wooden dowel would be a fun craft for any age. Creating a DIY rocket photo booth can also be part of a lasting memory that the kids can take home. Finishing off the night with your child’s favorite space flick or documentary would be a perfect end to an educational and galactic-themed party. You don’t need to pay the admission for a farm or a zoo to have an animal themed birthday party. For a party that is sure to entertain any crowd, animal themed parties are an awesome pick that can be hosted at home. For an unforgettable experience, try a reptile themed birthday party. There are so many services around the globe that can bring the wild kingdom right to your home. Adventurous children will love the opportunity to touch and learn about snakes, turtles, and lizards while the shyer kids can sit back and learn about these fascinating creatures from a trained guide. Many companies that provide this service also have their own photographers in tow and all include expert reptile handlers. For decorations, a safari or outback theme would blend well, featuring khaki outfits for the hosts, safari hats, and even rubber reptiles. For those who prefer furry friends, throwing a petting zoo party is just as big of a hit. Many petting zoos offer a traveling menagerie that your children will never forget. 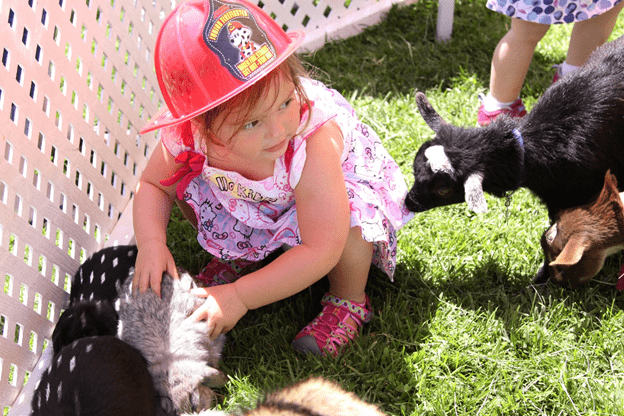 With educated animal handlers and an opportunity to meet horses, donkeys, pigs, sheep, and goats in a safe, small environment check out these petting zoo entertainment services. This party is especially great for those with a large yard and for birthdays in warmer seasons. This type of party can lend itself well to a rodeo theme or farm theme, including lots of cowboy hats, bandanas, and gingham tablecloths. Giddy up! The best activities are when children can create something from scratch with their own hands. The following memorable, hands-on parties are perfect for getting your kids involved, and a bit messy. For a hands-on summer party, having a garden party is an easy way to host an at home birthday. Let the kids get dirty by buying soil and pots and letting the kids plant germinated seeds to watch grow at home. Kids can even get creative by painting the pots before they plant. 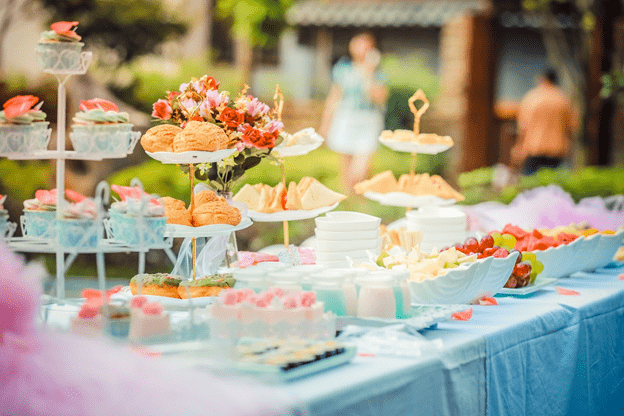 For those who love tea parties, tea and sandwiches could be on the menu, or the classic cup of dirt dessert (chocolate pudding, crushed sandwich cookies, and gummy worms) could be set up for kids to make themselves. Alternate crafts include painting bird houses, or a watering can, and classic lawn games pair well with this party theme. For decorations, stringed lights, and scattered butterflies add a beautiful touch to this outdoor party.